DAINTREE AIR SERVICES is now one of the longest running air charter companies in Austraila under one management team. Our success has come from our passion for aviation. Our staff take pride in their work and are involved in all day to day operations. Our knowledge and experience is invaluable when developing tour itineraries which will take you to some of the most remote parts of Australia and the Pacific. We can arrange everything from flights and accommodation to your excursions - all you need to do is contact us and we then develop an itinerary for you to approve. Adventure by yourself or in a group as we will tailor to your needs. A couple of very special days or a special 30 days we are happy to give you some ideas on destinations to visit from the Kimberley's in Western Australia to Arnhem Land in the Northern Territory, to the Reefs and Rainforests of Cape York Peninsular. We are proudly Australian owned and operated. 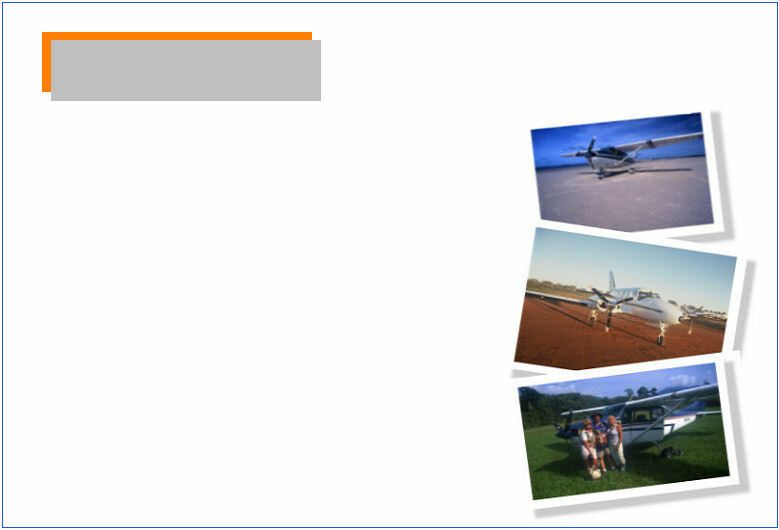 OUR TOURS are conducted adhering to the rules and regulations set by the Civil Aviation Safety Authority of Australia. Aircraft selected for the tour of your choice vary depending on the number of passengers and requirements of those passengers, for example we can land you on remote beaches, short dusty air fields, inside gorges or at international air ports, the choice is yours. The aircraft used are maintained to the very highest standard under an approved S.O.M (System of Maintainence). OUR PILOTS are trained to the highest industry standards. All pilots offer a wealth of knowledge on the local areas you will be visiting.